Hey ya’ll! I’m a little late getting this post up. My baby girl is now 8 weeks old and she is keeping her mommy on her toes already. When I started this journey 3 years ago I was so eager to get started and share my creations with all of you. My very first post ever was about Election Day. I like to think that I’ve come a long way since then. While I’ve been busy with my little one, I have found some time to create and update. 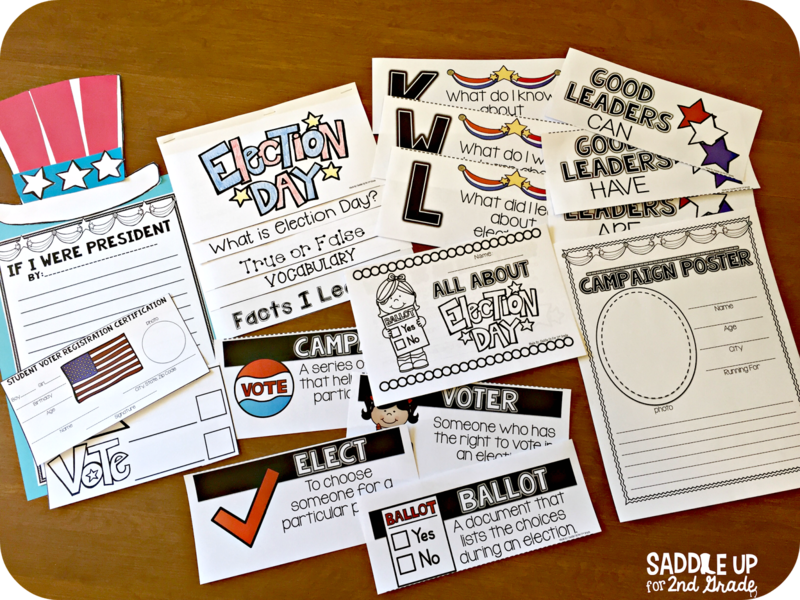 My Election Day unit was the very first thing I ever posted in my TPT store and it just got a MAJOR, much needed update. 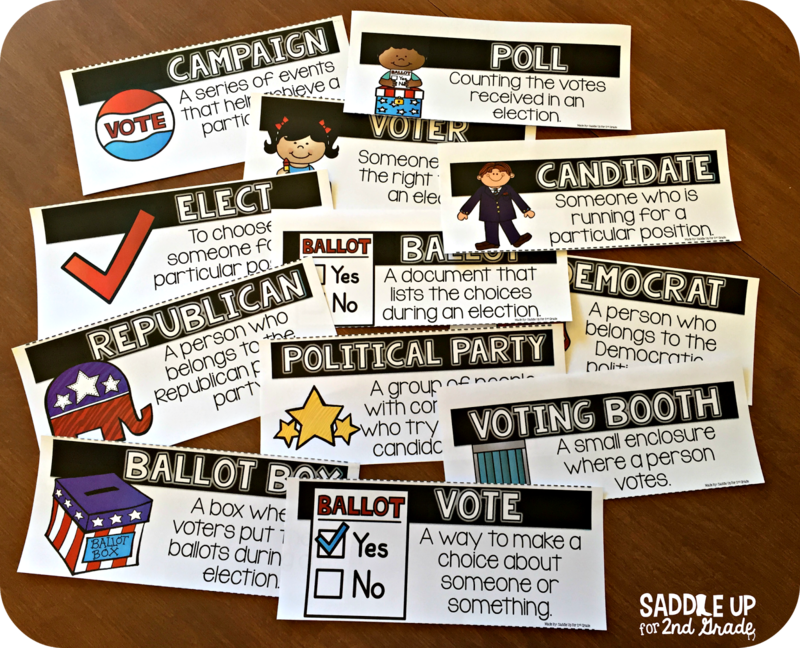 Before, it was just items to create a classroom election. 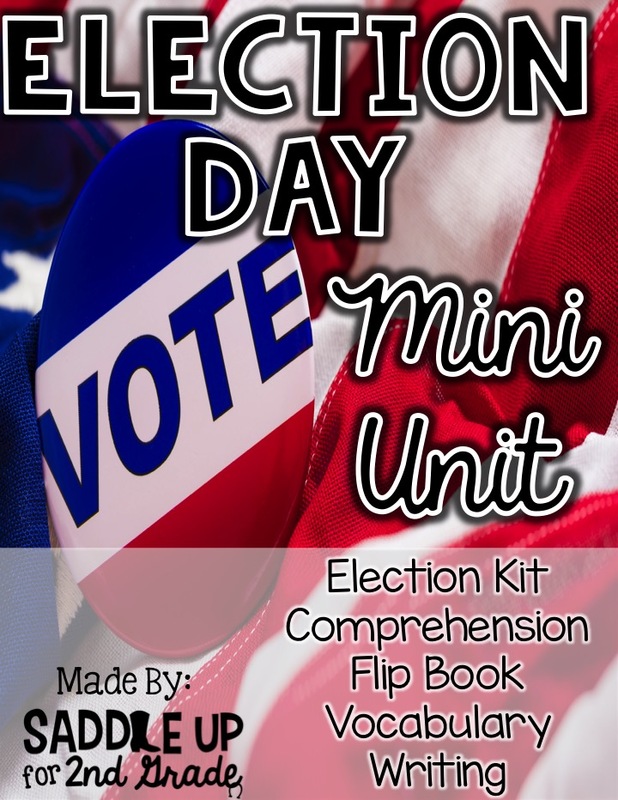 Now it includes not only a class election kit but it also has comprehension, vocabulary and writing activities. Here is a sneak peak of all the new updates. I added some anchor chart headers. 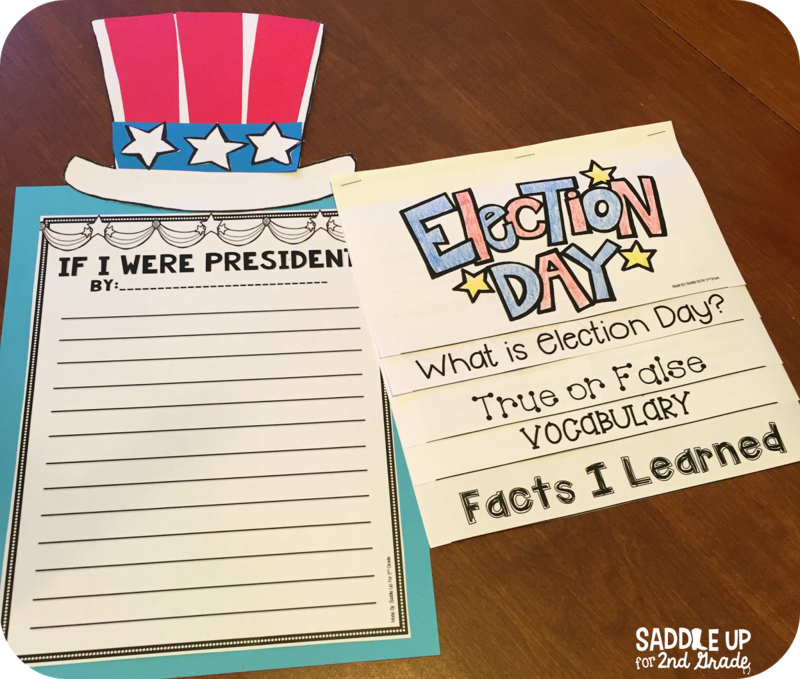 Your kiddos can write on post it notes or index cards to show what they’ve learned. 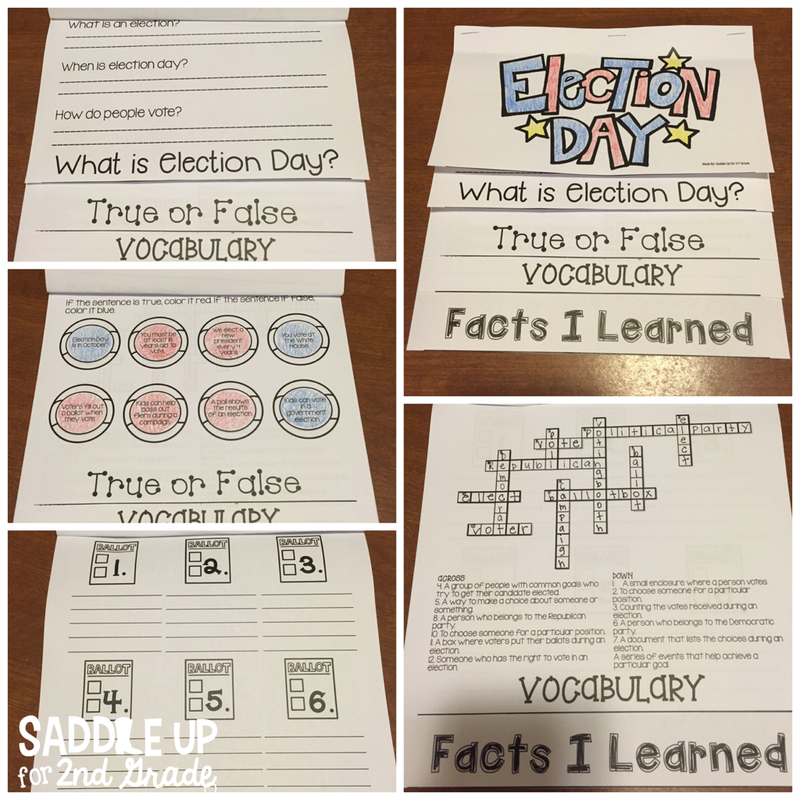 Vocabulary cards were added to help students with those tricky words they need to know. Visuals are included for those pictorial learners. 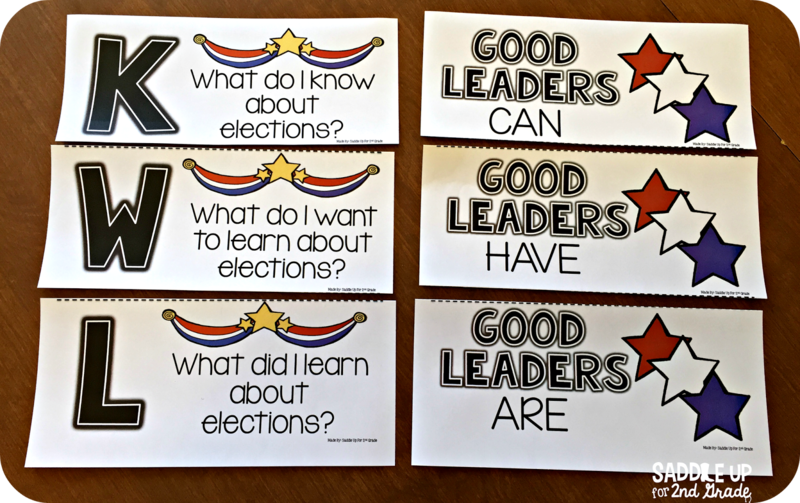 Elections and voting can be such a difficult concept for kids to understand. 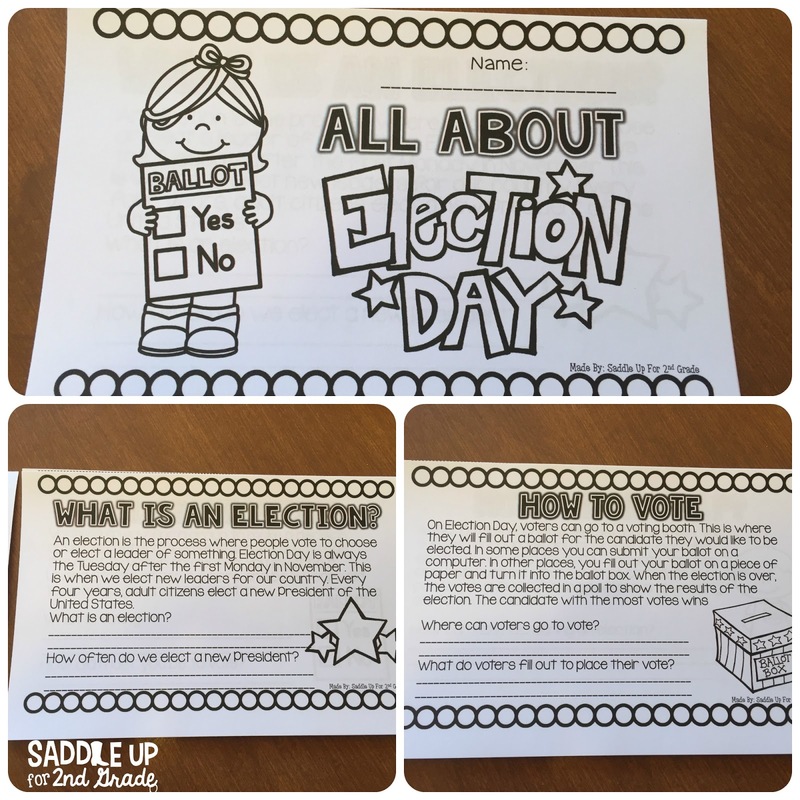 This election booklet can help teach them about what elections are, how to vote and how they can get involved. They can create this flip book to show what they learned from their comprehension booklet. 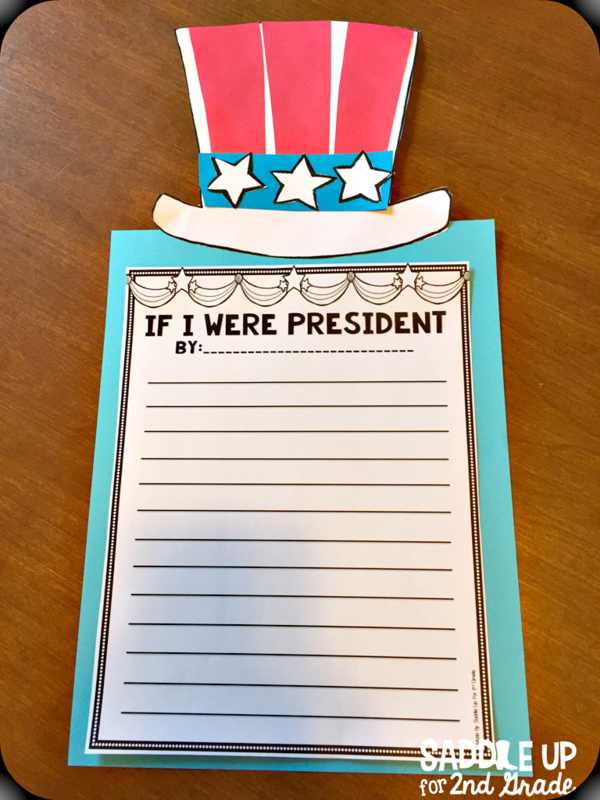 It includes comprehension, vocabulary and writing practice. As you are discussing elections, talk about what kind of campaigns students their age can get involved in. 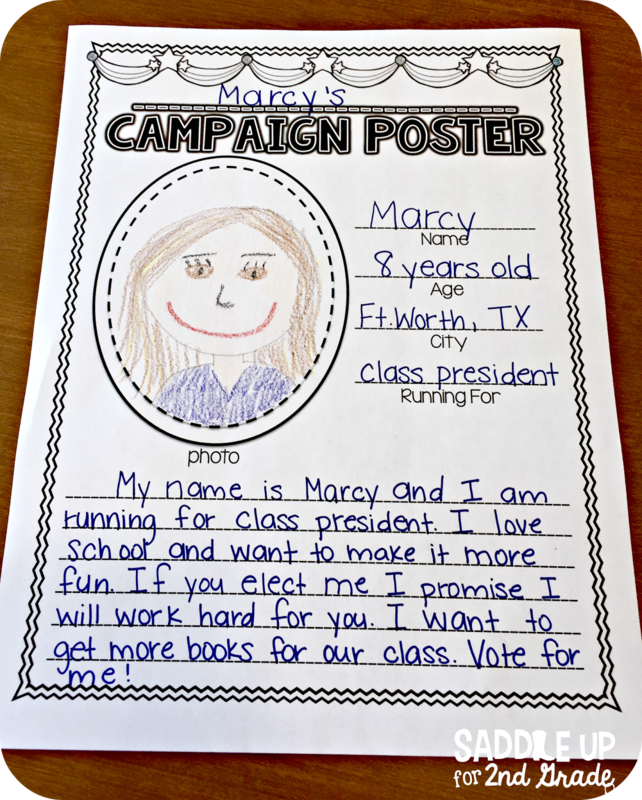 They can create their own campaign posters and slogans. 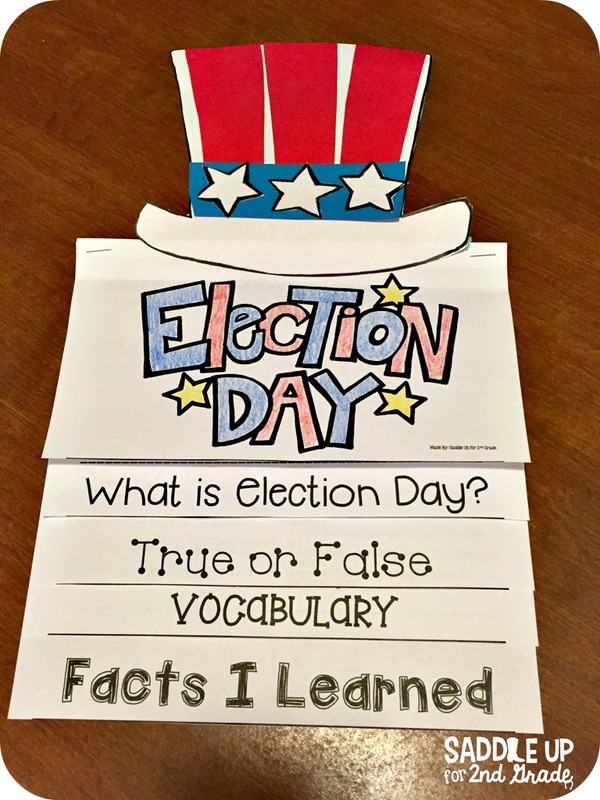 Everything you need to create a mock election is included too. 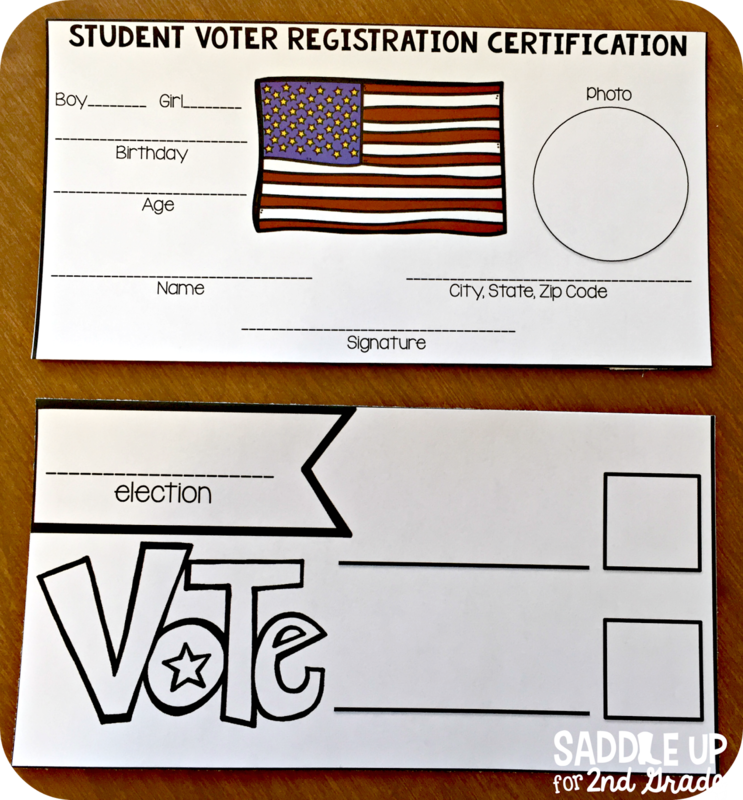 There are voter registration cards, ballot cards and more. 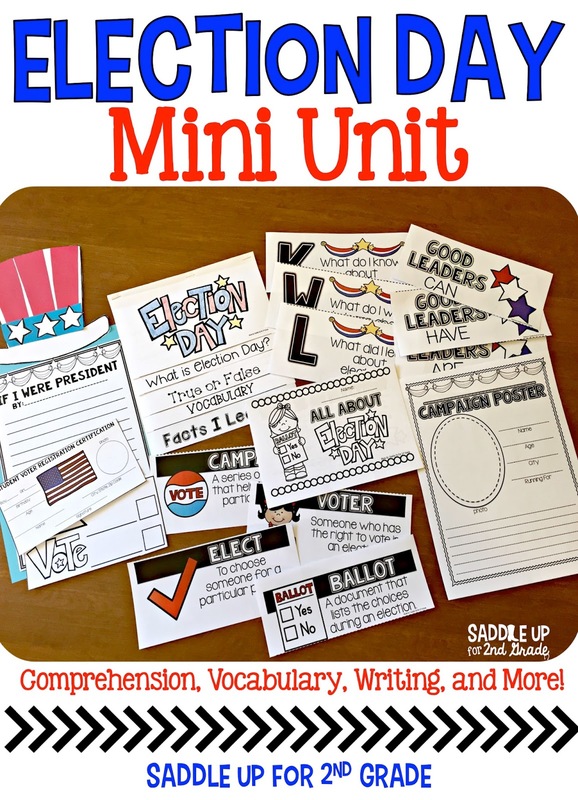 You can grab this entire unit in my TPT store. If you already own the old version, please make sure you redownload to get all the new updates.